Showing 13 articles from April 27, 2015. Friday will be the last day to order flower pots from the Toledo Elementary School Parent Teacher Organization (PTO), with pickup scheduled for Pay 7 and 8. Proceeds from the sales will be used to support the many activities of the PTO, and those with questions may call PTO President Semra Stanley at (360) 560-4200. The Winlock Timberland Library has announced the winners of their second annual poetry contest as the library celebrates April as National Poetry Month. Library Associate Becky Standal reported 48 entries were received in age categories 8-12, 13-18, 19-64, and 65 and older (the 7 and younger category was eliminated this year as no entries in that range were received). Entries were received from all over the area and from withers with many different styles and experience levels. Vader will be celebrating their 63rd annual May Day festival this Saturday, and a number of family-friendly events are scheduled to take place throughout the day. 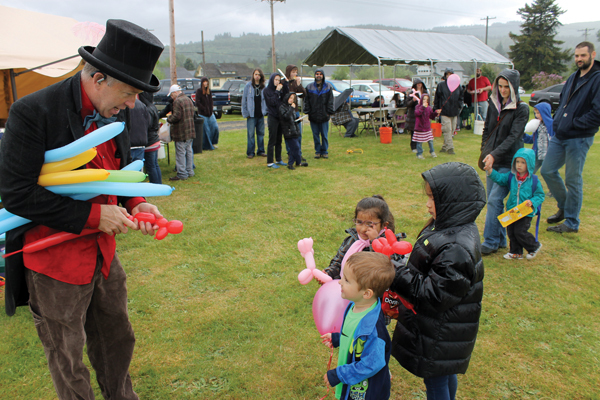 This year's theme is "Trains, Tractors and May Flowers," so visitors can expects to see a lot of locomotion among the commotion as May Day kicks off Lewis County's summer festival season. I'm here to tell you the Town was jumping last weekend during the Garage Sales. I heard they ran out of those special "Mariners" hot dogs on Friday and had to go buy more for Saturday. These Sales happen twice a year, the last full weekends of April and August, always on Friday and Saturday. And if you happen to see any of our lost signs, there is a phone number on the back for their return. The month of May gets off to a great start with the Veterans' Town Breakfast this Saturday the 2nd from 8 to 10 a.m. The selection and quality can't be beat whether you want ham (or sausage) & eggs, biscuits and gravy, pancakes or any combination of the above. The meals always include orange juice and bottomless coffee. It's definitely worth the drive out to the end of the road. May 2 Basketball Awards + Community Breakfast Saturday at Toledo High School 8-10 a.m. Omelets, AYCE pancakes, more. Separate skillet for gluten-free fare. Saturday is May Day in the little city of Vader, and the community will be bustling with games, events and other festivities. It's not too late to become involved, and those seeking a vendor booth should call Judy Costello at (360) 295-3036, while parade entry forms can be found at J & G Grocery and Cedar Village IGA, or by calling Janet Charlton at (360) 295-3011. Correction: The date of the Country Cruisers Car Club's next car show is June 6, contrary to reports in last week's column. Thanks for the gentle reminders from club leadership. The show will be at McMurphy Park and the entry fee is $15, with options for finished or unfinished vehicles and more than one entry per person. For more information, call Club President Al Bangs at (360) 827-1899. Just a reminder for those that purchased the beautiful Winlock Baskets, they will be delivered Tuesday, May 5. Pick up 11 a.m. to 4 p.m. at 206 SE Front St., Winlock. A big thank you to all the business's and people that purchased them. We are also looking for a few people to help with watering the baskets hanging on the streets one day a week May thru August for about 2 hrs. Please call Carolyne (360) 520-0772 for more information. Lucky Eagle has offered to bring a bus to Winlock once a month to transport people to the Lucky Eagle and back to Winlock if there is enough interest. If you are interested, please give Carolyne a call at (360) 520-0772. Benjamin Meade held his Run Bright 1k, 5k and 10k Race on Saturday, April 25 starting at 9 pm. 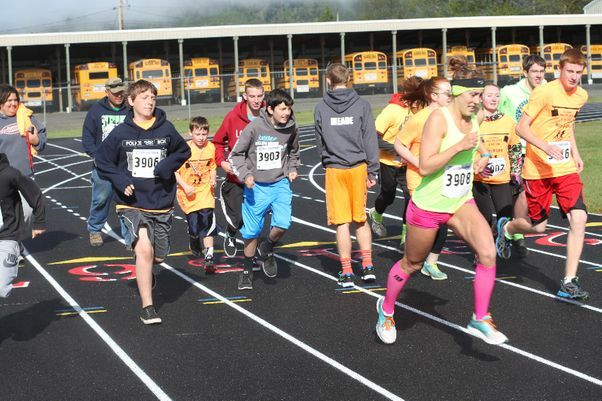 As many as 25 participants showed up to the Raymond track to run, and each race respectively cost $15, $25 and $30, the proceeds going to the Willapa Harbor cross country team. 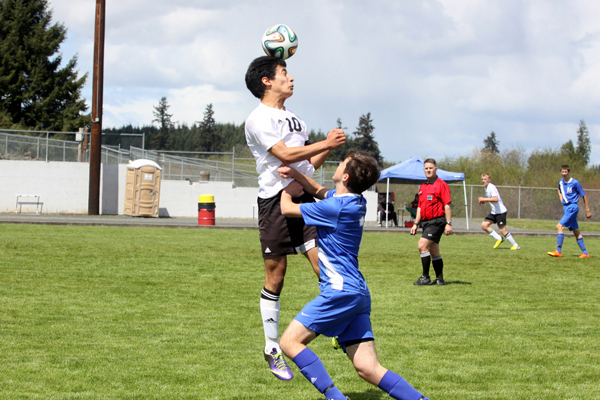 Toledo/Winlock United soccer is in a good place this spring, after five consecutive victories/ties to claim the spot atop the 1A Trico League soccer standings. Their latest notch will be one chatted about for years to come after league rival La Center descended on Winlock Saturday with upset on their minds. The Wildcats were responsible for United's only league loss this year, as well as the third in a trio of consecutive losses (the others were non-league losses to Centralia and W.F. West) in the early season. Authorities are seeking help investigating a burglary taking place earlier this month in Packwood. Sometime between April 10 and 11, an unknown number of suspects entered a residence on the 100 block of Willame St. and stole a Toshiba flat screen TV, a collection of silver dollars, a pearl necklace and bracelet set, a smokey topaz gold necklace, white gold mother's ring with four birthstones, two Black Hills gold mother's rings with three stones and engraved children's names, a silver charm bracelet with more than 20 charms, a grandmother's ring with two stones. The estimated loss is more than $500. Local fire and EMS calls between April 20 and 26. Some officials with Lewis County Medic One are concerned not enough forward motion is being made to reform the agency and have approved the laying off of two paramedics by July 1 if outstanding issues remain unresolved. Though representatives from the districts served by Medic One had supported a new revenue plan last month that would eliminate projected deficits, one of the six districts has since rejected the proposal and another has expressed concerns with the contract codifying the plan, and the layoffs were proposed as a way of preparing Medic One for the potential need to slash its budget. 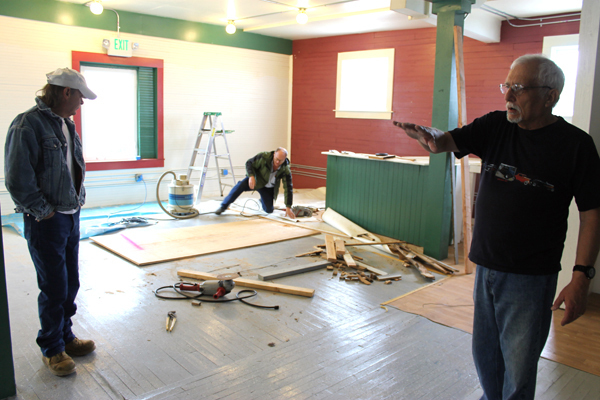 The Winlock-Vader Food Bank has announced they will be expanding their offerings to the community through a new restaurant and thrift store scheduled to open June 1. Located just above the food bank's current location at the corner of First St. and Fir St., in Downtown Winlock, the venue will be intended to provide eating and shopping options for area residents, as well as additional funding for the program.